Inquiring minds want to know why we too should befriend Persivell Knightmond! Want to friend Persivell Knightmond? You need to log in or join our community, first! It's fast, free and easy. Likes: Horse riding, Archery, Chess, Talking with people. Dislikes: Criminals, disloyal people, pigs, death. It was a rainy day in the morning of 13th, Kid came from the deep of the hell, people started making funny stories about the birth date of Galterious' son because of the number 13 which is bad in every culture you see in Phirals Empire. The only child of Galterious was the one who has to bring the Legacy of the family till a day of death, and he was the one, which name could be better than "Persivell" which means "The Protector of Legacy" in Old Xokian Language. Galterious' hard working wasn't strong enough to make him ignore his only child in military practices. He learned archery and riding with his father and especially how to fight with one-handed weapons, until the age of 15. Days wasn't that hard for Persivell but it wasn't like this for his father, he was making himself busy with making the army ready for future days, to make his dreams happening, rebuilding the kingdom and realm. 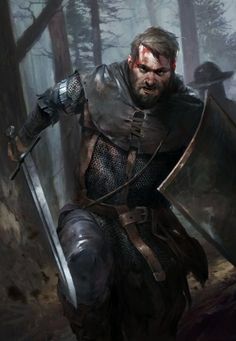 Persivell finally reached the age of 20 which was great enough to use his military experiences that he learned in training with his father and best swordsmen in the realm. Dark days came and the great battle of Hwen and some other battles that he led was big enough to prove him to his father. His little brother, Baron Was old enough to help them in battle too, his loyalty and skills made him a good lord for the kingdom. The relationship between Baron and Persivell was completely normal and great exactly like two brothers. After retaking the kingdom, persivell started serving in King's Guard in Capital with his father which allowed him to improve his skills as the future king. Days spent and the world was great enough for Percivell to place a new love in his life, Named Marry, Lady Marry Marmadious the daughter of one of Lords in the realm from the north of kingdom which was the most effective lord from the north of realm at taking and capturing the northern villages and castles. His name was Lord Henrick l, the father of Lady Marry. They had met before in one of the feasts for the great Tournament in Hwen but after that Persivell choose him as his wife and the agreements between two families made it possible without any argument. Some years after that persivell was completely without any honor to be as the new king and that made him so sad because of his brother that leading a castle in the south of the kingdom. Father gave him a castle near east to lead but some years after that the death of the father made persivell the new king of XOKIA. 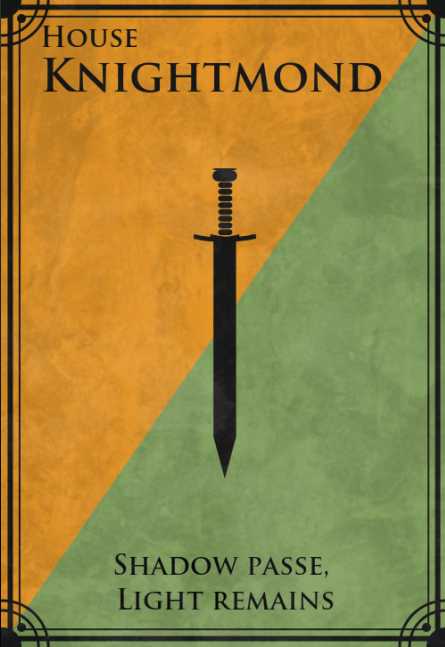 Persivell of house Knightmond currently is the king if Xokya.